At a recent class, Sonie had the idea to search the web for henna patterns. 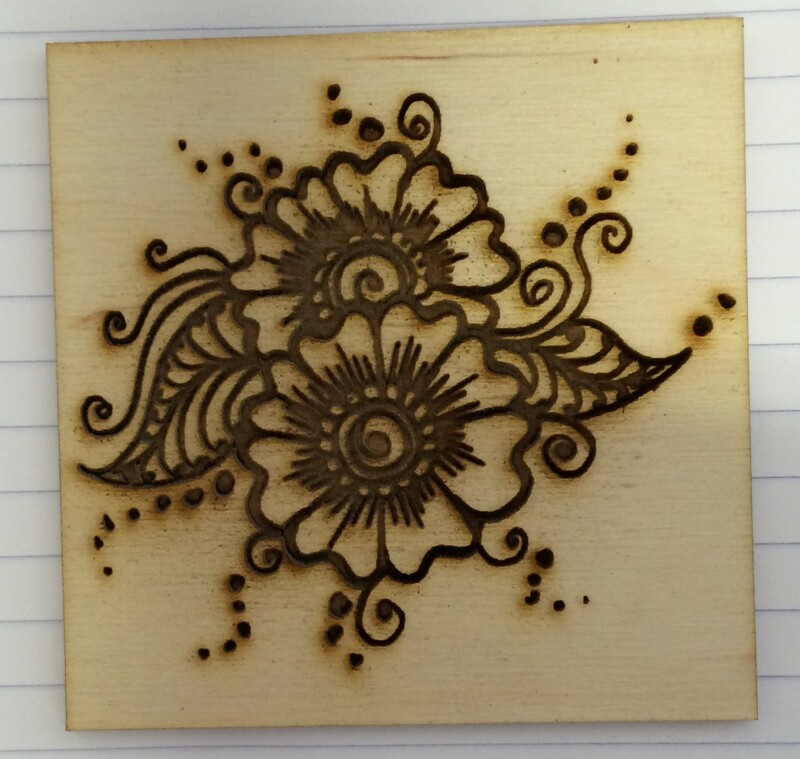 We found lots of great art that’s perfect for raster engraving on the laser. 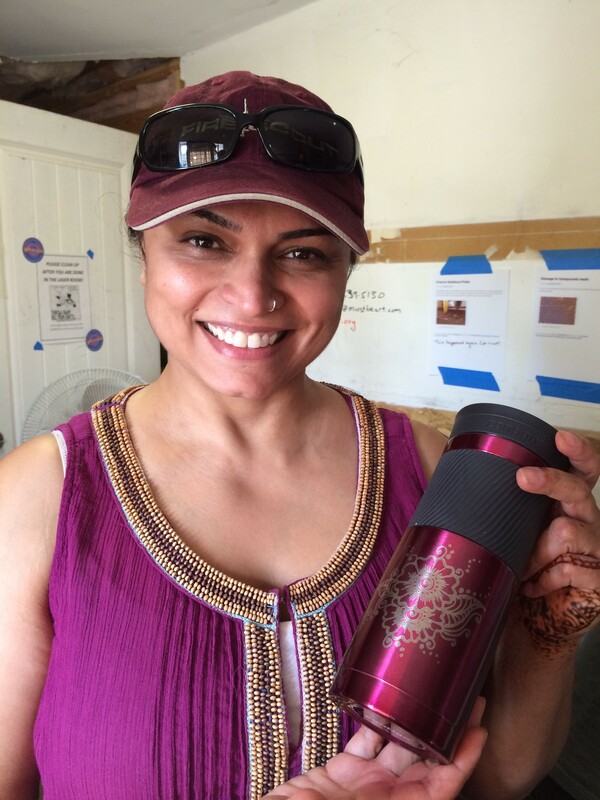 Sonie showing off her anodized aluminum water bottle with the henna pattern freshly engraved on the rotary adapter.